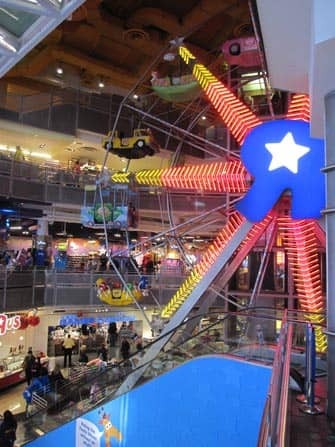 Toys“R”Us on Times Square New York is not your average toy store. Actually, it’s anything but your average toy store. You probably know Toys“R”Us as the place your children drag you to, while you hide your wallet. 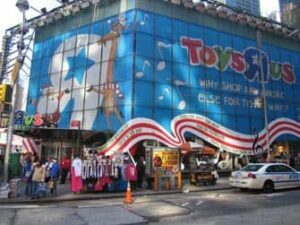 In New York, however, the tables are turned and you yourself will feel like a kid again in ‘The World’s Greatest Toy Store’. Toys“R”Us is a huge store and as such, the names of the departments speak for themselves: Action Figures & More, Barbie Dollhouse, Electronics & Music, Games, Imaginarium (quality toys with a high learning value), LEGO Shop, Plush Pets, ROBOTGALAXY (where you can build your own robot! ), Video Games & Movies and Wheels. I have only one thing to add: these departments are all you expect them to be, and more. It’s more about the experience than the actual toys, although you can of course buy those as well.